I do believe this is a female pine siskin (yellow bars on wing and narrow bill). 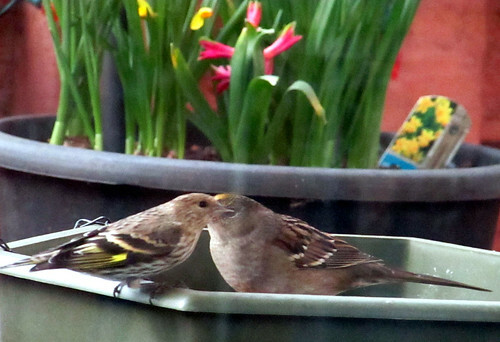 I'm quite sure this bird in front of the Golden-crowned sparrow is a female pine siskin. Comments? Definitely a siskin, would agree with female likely.